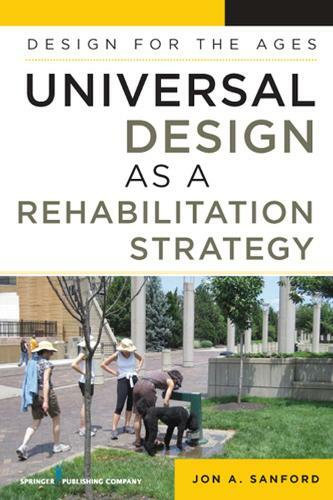 A key source for a variety of professionals-from nurses to interior designers to architects-,i>Design for the Ages covers the significance and impact of universal design as a change agent for social and health movements. It also emphasizes that the use of universal design can promote performance and participation for the aging population. This professional clinical text is written by an experienced authority in the field, Jon A. Sandford. Sanford is Co-Director of the National Institute on Disability and Rehabilitation Research (NIDRR) and is one of the few architecturally trained researchers engaged in environmental issues related to accessibility and design for aging. In this unique resource, Sanford examines key social ecological models in the rehabilitation for aging and disability, and sheds new light on health and disability at both the individual and population level. This textbook is a useful tool for rehabilitation engineers, occupational/ physical therapists, engineer psychologists, environmental psychologists, rehabilitation counsellors, disability and rehabilitation researchers, assistive technology practitioners (ATP), gerontologists, educators and students in nursing, case managers, home builders, design professionals (product designers, interior designers, and architects), and design educators/students in planning.